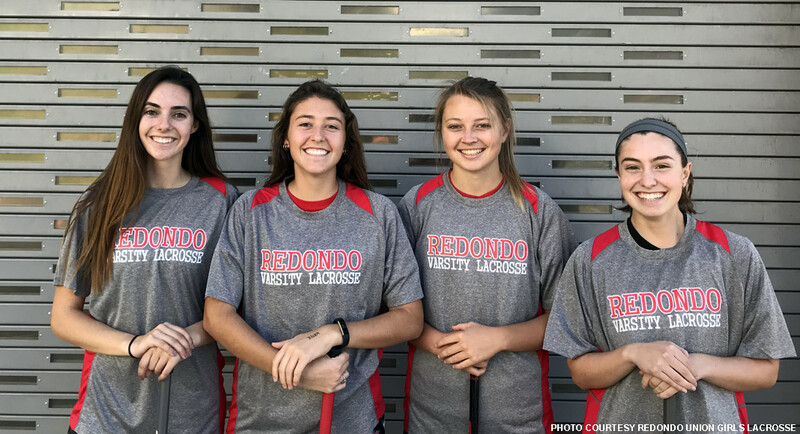 The Redondo Union girls lacrosse team, the defending LA champion and ranked No. 1 in the US Lacrosse/MaxLaxLA preseason coaches poll, heads into the 2018 season behind four veteran captains, three seniors and a junior. From left, above: Senior Alison Shafer, senior Maddie Marcon, junior Emma Hodges and senior Lisa Diethelm. player with a great feel for the game. She was named US Lacrosse All-American for greater Los Angeles as a junior in 2017 and was first-team All-Area as a sophomore and junior. Redondo’s defense with her quick double teams in the North Division championship game. 2017 as a sophomore. She has great passion for the game and hustles on every play. League first team in 2017.